Illinois State Police has been granted permission from the federal government to employ drones at crime scenes and crash sites in order to take photographs. However, law enforcement officials won’t use the word “drone” when describing their new tool. That’s no accident, either. Police said that they want to stay away from the word “drone” because of the negative connotations people have come to associate it with. Specifically, the department said “it carries the perception of pre-programmed or automatic flight patterns, and random, indiscriminate collection of images and information,” the Chicago Tribune reported. Instead, police will refer to the drones as “unmanned aircraft.” Law enforcement also emphasized that the technology will not be used “for surveillance purposes” and noted that it worked with civil liberties groups to ensure that the privacy of Americans continues to be protected. Currently, the use of drones has been approved by the Federal Aviation Administration for two years. Prior to this announcement, Illinois lawmakers had already significantly curtailed the ability of law enforcement to use drones. The 2013 Freedom from Drone Surveillance Act outlined several situations in which police would be allowed to use drones, including the investigation of crime scenes and the pursuit of a “high-risk terrorist attack.” Police can also use drones if they obtain a warrant or if they are searching for a missing person. Passing this law, according to Ed Yohnka, of the American Civil Liberties Union, was notable for establishing constraints on law enforcement. 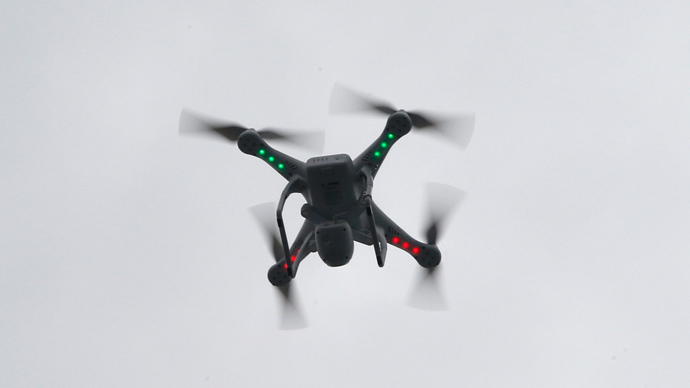 “One of the concerns was always that a drone is an incredibly powerful tool to see into areas that police couldn't otherwise see in,” Yohnka said to the Chicago Sun-Times Media Wire. If private information is gathered by the unmanned aircraft, officials have to destroy it after 30 days unless there is reason to believe criminal activity has been documented.